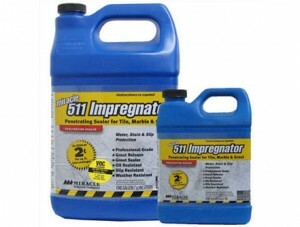 511 Impregnator is the original penetrating sealer designed for the protection of all medium to dense porous surfaces. 511 Impregnator forms an invisible barrier that is resistant to moisture and stains while allowing vapor to escape. 511 Impregnator is not a surface coating and will not alter the natural look.